You're looking at an amazing medical advancement, a protective patch that guides the way cells heal after shoulder surgery. It's made from microfibers 100 times finer than human hair, and it completely disintegrates to prevent long-term complications. Believe it or not, all that medical tech is constructed the very old-fashioned way: by hand, on a wooden loom. 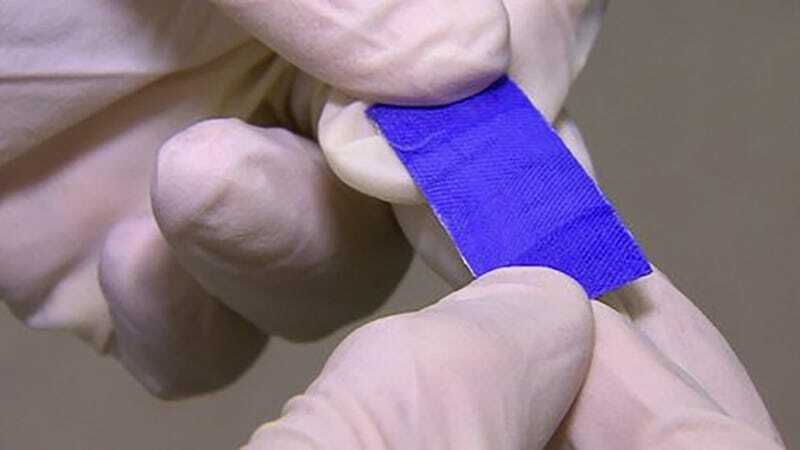 The patch, devised at the University of Oxford, is meant to be wrapped around soft tissue after shoulder surgery to prevent subsequent tendon tears, which affect 25 percent of such procedures. The microscopic fiber that contacts the repaired tissue guides cells to develop strong bonds as they heal, while the outside of the patch is a durable material that can withstand the shoulder's complex movement. Most importantly, the patch disappears after a few months, preventing the body from rejecting the foreign material. Researcher Osnat Hakimi explains that the manual loom is the perfect tool for weaving the patch's protective cover, allowing the team to use small quantities of the costly fiber for testing.